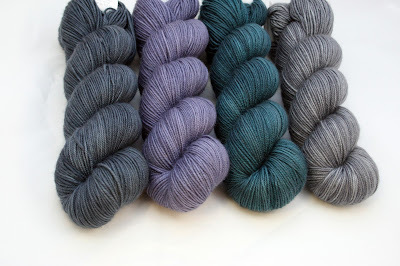 This week, we're highlighting the variety of shapes available for your next shawl. Mix up the traditional triangle with an asymmetrical version, like Mostly Harmless by Kaylie Dawn. 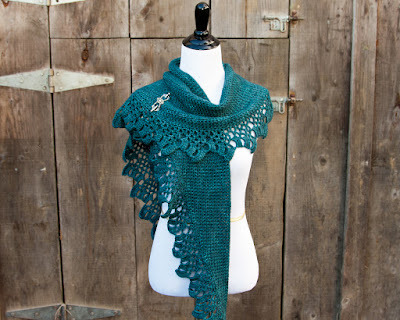 A half-circle shawl is perfect for throwing over your shoulders. 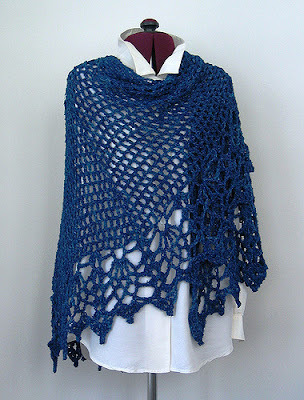 Try the All Shawl by Doris Chan for your next project. 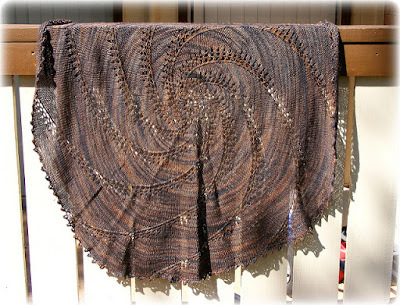 A crescent shape looks lovely in lace. Flux by Corinne Ouillon uses the shawl shaping to make pattern blocks. Feeling ambitious? 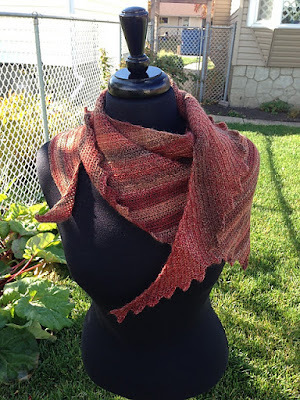 A full circle shawl is a good way to stretch those knitting muscles! Vortex by Kristina McCurley uses a simple swirl design, perfect for beginners. 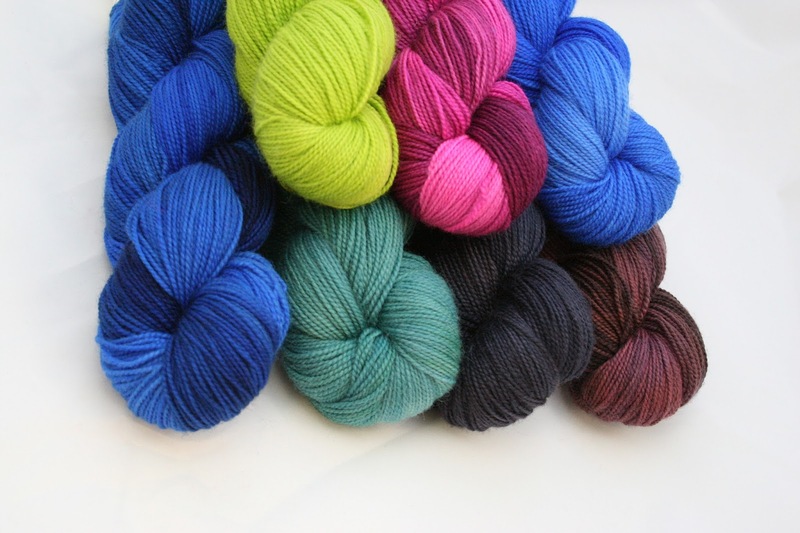 You’ll be stepping out in style this month with yarn from ColorPurl. Inspired by the vast color palette of the natural world, ColorPurl specializes in using natural and Eco-friendly dyes for her yarn. High Street is a plump, high-twist blend of 80% superwash Bluefaced Leicester and 20% nylon. 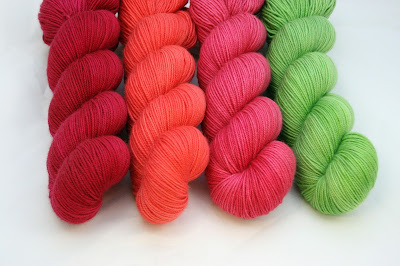 This blend is nice and plump with a tight twist which soaks up dye for super saturated colors. 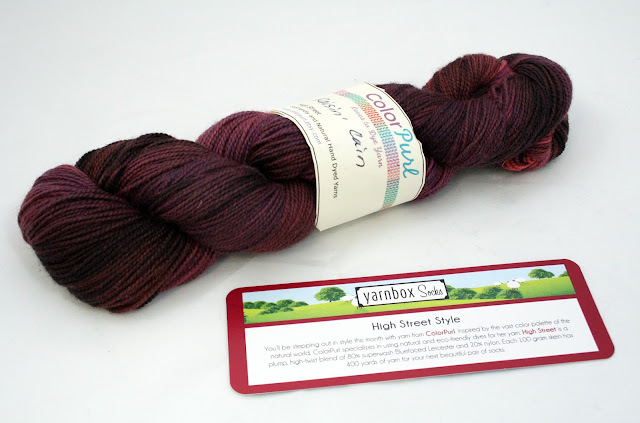 Each 100 gram skein has 400 yards of yarn for your next beautiful pair of socks. Designer Heidi Gustad created the Rick and Roll Socks, a top-down design which take the classic sock structure and turn it on its head! 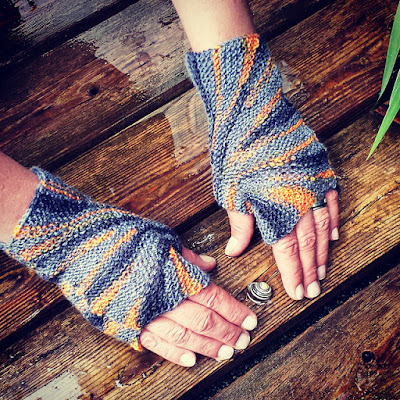 The leg is worked inside out before turning to create the thick zig-zag stitch patterned fold-down cuff. 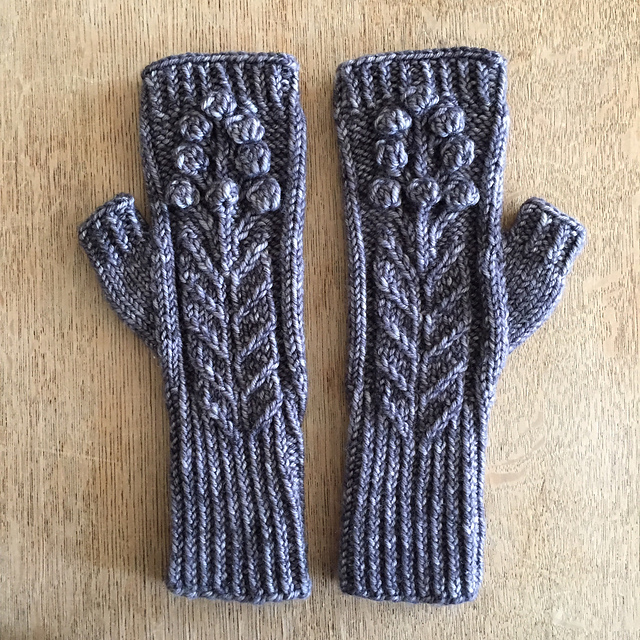 These are perfect for cold days! Spring is finally here! 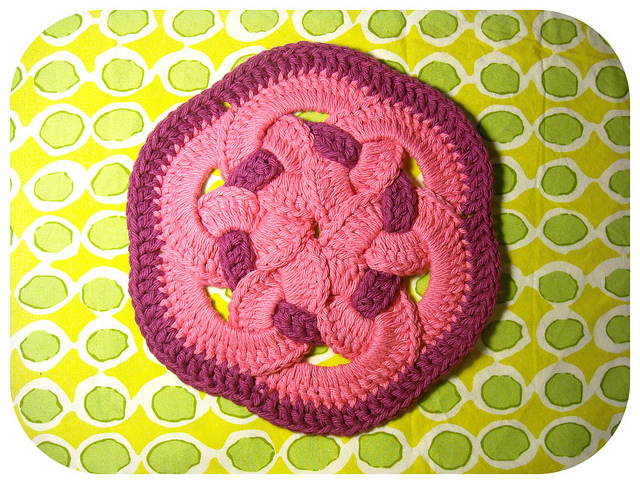 To celebrate this first week of spring, here's are some seasonally named patterns to jump start your springtime crafting. 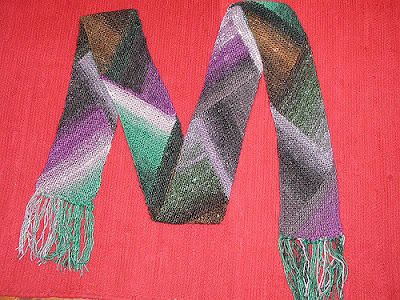 The Spring Market Mod Scarf by Megan Meyer is a wonderful way to add color to any outfit. It's that time of year when there is so much variation in temperature! 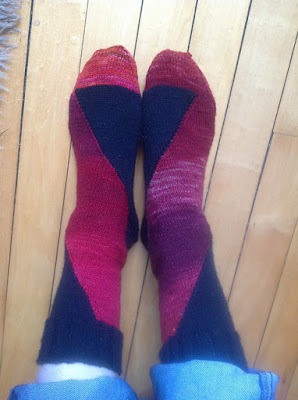 Sometimes it feels like summer is almost here, others we're back in our winter woolens. 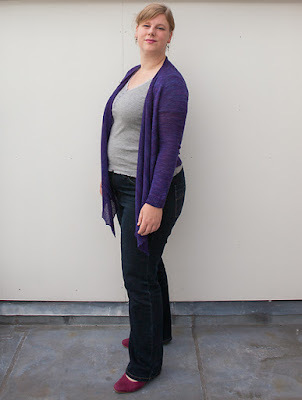 A new cardigan is the perfect way to be ready for whatever weather the day might bring. A lace design is a great to way to keep sweaters lightweight. Surry Hills by Maria Magnusson (Olsson) is a button-up cropped design. 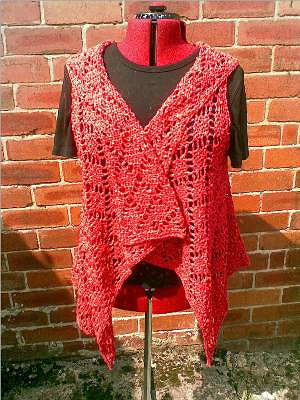 Hot Chilli Shawl Cardigan by Heidi Walsh can be worn open or closed with your favorite shawl pin. Even bulky weight yarn can be airy in an open pattern.The Ladies Baggy Cardigan by Laura Eccleston works up quick. 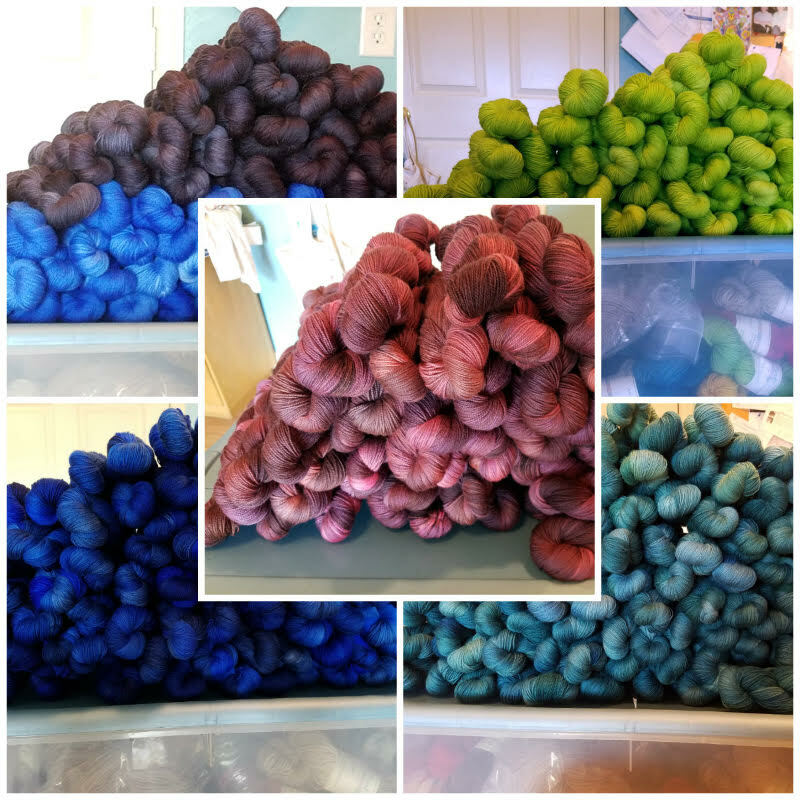 This month, we are thrilled to feature Miss Babs Hand-Dyed Yarn and Fibers, a woman owned and operated business, which prides itself on "finding joy in hard work, supporting each other, and sharing tears and laughter". We're including Miss Babs' Yummy Sport Weight for our subscribers. This bouncy and round yarn is a 100% superwash merino, 3-ply sport weight in rich semi-solid colors. 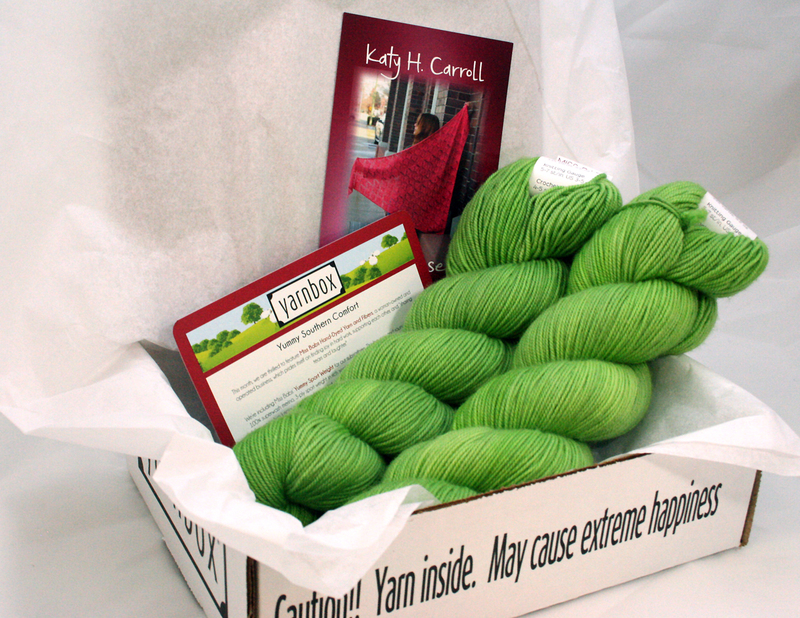 With oversized hanks containing 5.2 ounces, two luscious skeins are being sent your way for a total of 670 yards of delicious, smooshy yarn-y goodness! 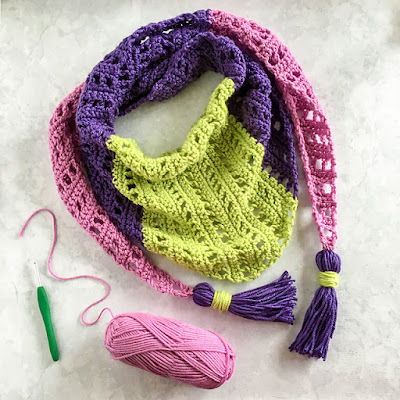 For our crochet pattern this month, we are featuring KT and the Squid Katy Petersen’s Topelt Shawl, with its beautiful scalloped lace trim. The Yeseria Shawl by knit designer Katy H. Carroll showcases graceful, lacy knit arabesques. 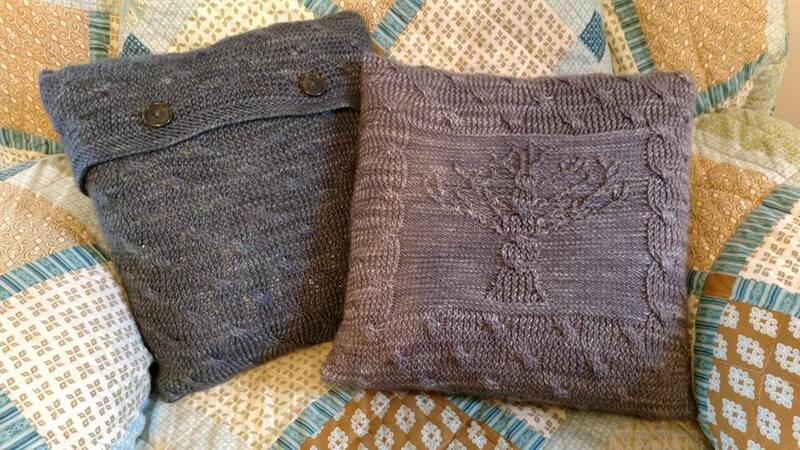 Loom knit designer Amanda Pratt joins us for another box with the Cabled Tree Pillow. 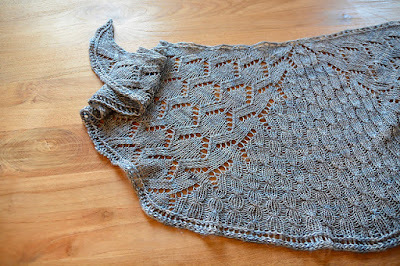 You can find it on our blog here. There's more to knitting and crocheting than just working in rows and rounds. These patterns will have you thinking outside the box with their unique modular construction. 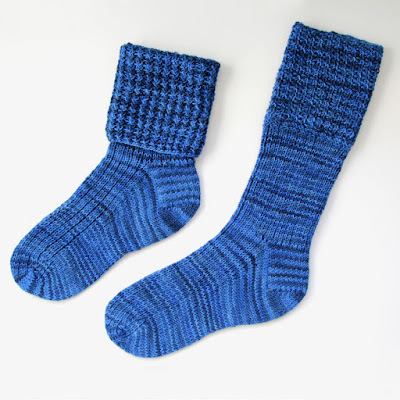 The Pole Dance Socks by Hypercycloid Designs are worked in flat strips without any seaming. The Woven Circles Trivet by Adaiha Covington might look complicated, but this woven affect is easy to achieve. The first time I learned short rows in a knitting class, the instructor referred to it as "the magic moment". And that's exactly what short rows are for- turning flat fabric into shaped objects or switching directions for an interesting look. 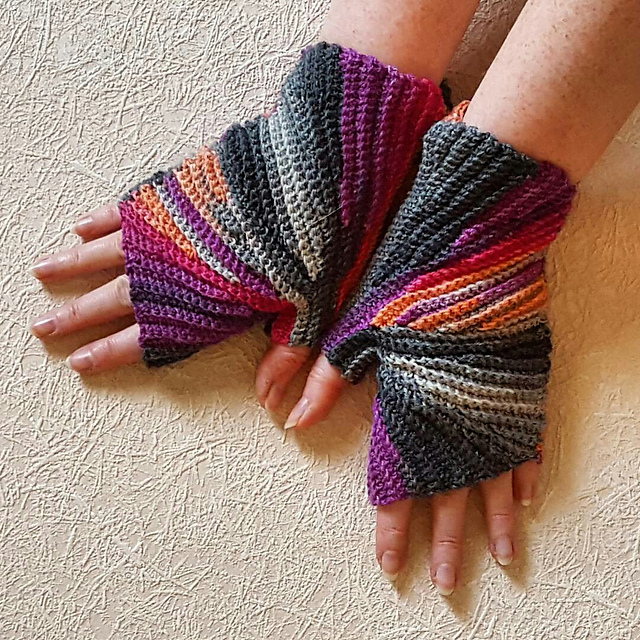 It's still one of my favorite go-to when choosing a new pattern. Here's are some free pattern ideas to give short rows a try. 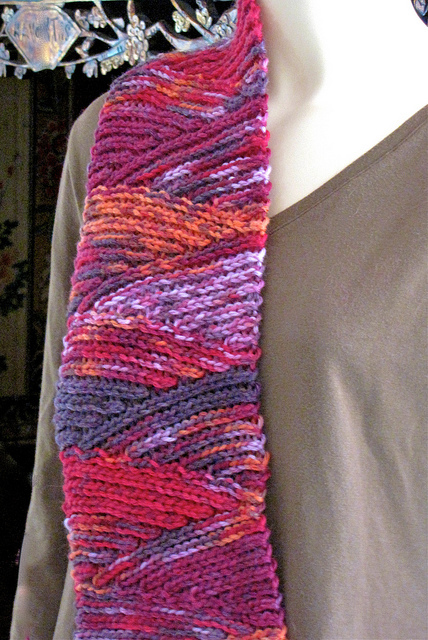 Achieve the same look in crochet with the Slip Slope Scarf by Vashti Braha. These mitts by Sybil R use short rows to shape from the thumb out to create a radial pattern. Check the knit version Starburst Mitts or the crochet version Sparkler Mitts.